When you think of the Miami area your first thoughts may be of an exciting nightlife, art deco historic buildings and outstanding Cuban cuisine. All of this is true, but tucked away in the nearby city of Doral is one of the most affordable gated communities in the area. 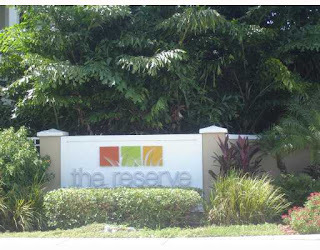 The Reserve at Doral is a gated community which offers residents all of the amenities and safety of a gated community along with luxury living at an affordable price. Home buyers have their choice four townhouse layouts. The Cypress has 3 bedrooms, 2.5 baths and is 2,046 square feet. The Banyan is a 3 bedroom 3 bath 1,975 square foot condo. The Magnolia offers 2,283 square feet and 4 bedrooms and 3.5 baths. The largest unit is the Poinciana with 4 bedrooms, 3.5 bath, and 2,307 square feet. Homes list for an average of $473,500 with prices ranging from $380,000 to $495.000. 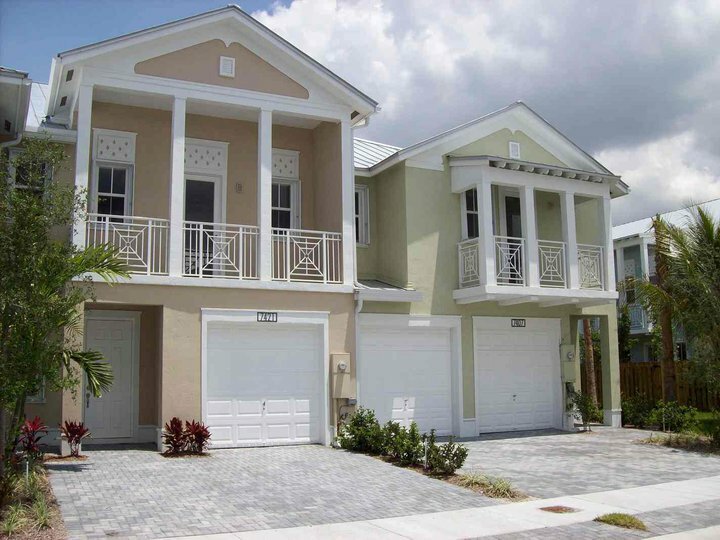 Many of the homes have lake front views, and all homes come with a one or two car garage. A spacious upper level veranda and covered backyard terrace are included in all of the home plans. Tile flooring is used in the kitchen, entry, and bathrooms with the remainder of the home furnished in stain resistant carpeting. Designer grade hardware and an attention to detail make the homes in The Reserve feel and look truly luxurious. The master suit features a Roman tub, walk in dual closets and dual vanities. Granite countertops and stainless steel appliances make the kitchens in the units a chef’s dream. All townhomes at The Reserve at Doral are pre-wired for satellite television in the family room and bedrooms. Each home has a covered entrance brick paver walkways and driveways, as well as a large backyard (something seldom seen in a condo community). Energy efficient windows, standing seam metal roofs, and hurricane protection at all of the openings make the homes at The Reserve not only attractive but safe during Florida’s hurricane season. The Reserve at Doral offers residents all of the amenities of luxury condo living. At the lakeside clubhouse residents can enjoy a fitness center, community room with a Billiard table, a library and reading room, large swimming pool with deck, spa treatment rooms, and a kitchenette with bar for entertaining. Parks are located throughout the community so that residents can relax in the Florida sun or take their children and pets out to play. Since The Reserve is a gated community with a 24 hour attendant, residents can be assured they can enjoy find Florida living safely and quietly. Located within the city limits of Doral and just minutes away from the Miami/Dade area, The Reserve is one of the premier gated communities of the area, and has everything residents would want for affordable luxury living.